Double Down will be released May 1 by Switch Press/Capstone. "That’s a lot of balls to juggle, but Bond never drops a single one. She fills this adventure with the Golden Age sci-fi weirdness that permeated the comic books of the 1930s and ’40s. The three mysteries dovetail together nicely in the end, with a few bread crumbs leading toward the next installment. Best of all, the novel ends as Lois crosses a line she will never be able to turn back from, a line that will mean big changes moving forward. In a sea of series that keep the characters status quo and rehash the same mysteries with different names and doodads, this is a godsend. 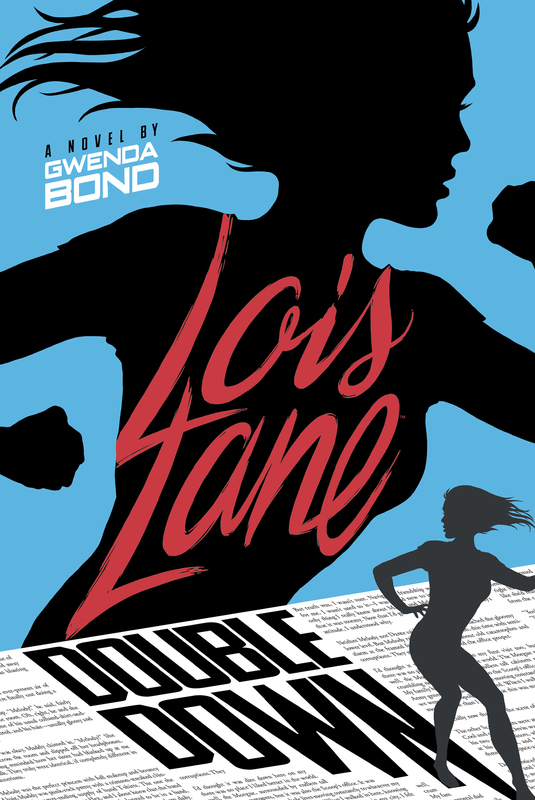 - starred review"
"Bond maintains the rapid-fire pace, witty banter, and clever allusions that made Fallout (2015) a winner, at the same time exploring thought-provoking ethical issues through Lois’ whip-smart and sometimes socially awkward persona. Wonderful details abound, including the usage of a clippings file—a nice touch in the age of Internet research. Superhero fans wishing for a fuller backstory on Superman’s love interest will find it hard to wait for the sequel, which seems like a sure thing."